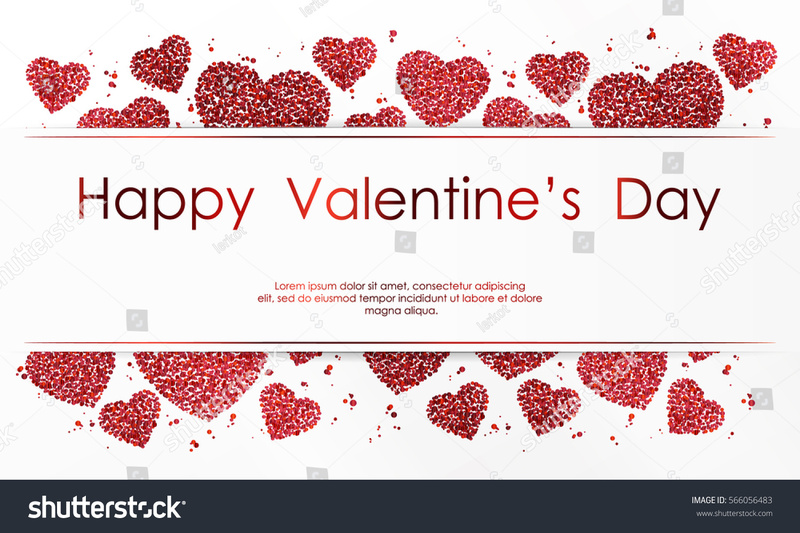 Poster with hearts of red confetti, sparkles, glitter and lettering Happy Valentines Day on white background. Wallpaper for Valentines Day. Vector illustration.